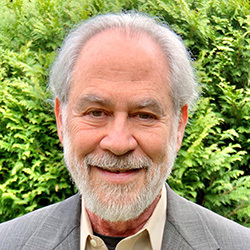 Peter Wilk, MD is a practicing psychiatrist currently serving on the PSR board of directors as co-chair of the One PSR Committee. Dr. Wilk has been active in public health and medical advocacy organizations concerned with nuclear disarmament for 35 years. He also serves as a board member of PSR Maine. Dr. Wilk was PSR’s executive director from 2009-2011. He has also held leadership positions with PSR’s global affiliate, International Physicians for the Prevention of Nuclear War (IPPNW), acting as the co-vice president for North America from 1996-2000 and speaker of the International Council from 2004-2008. Dr. Wilk received the Distinguished Service Award from the American Lung Association of Maine in 2005 and the Service to Medicine and Community Award from the University of Vermont, College of Medicine in 2016. Dr. Wilk has practiced psychiatry at a number of different settings in Maine since 1981. He earned his bachelor’s degree from Harvard College and his medical degree from the University of Vermont College of Medicine.